Tech4Learning’s Wixie wins a 2017 Award of Excellence for best upgraded software in Tech & Learning magazine's prestigious 35-year-old recognition program. Wixie is an online publishing platform that lets students share what they know through their writing, their voice, and their art. 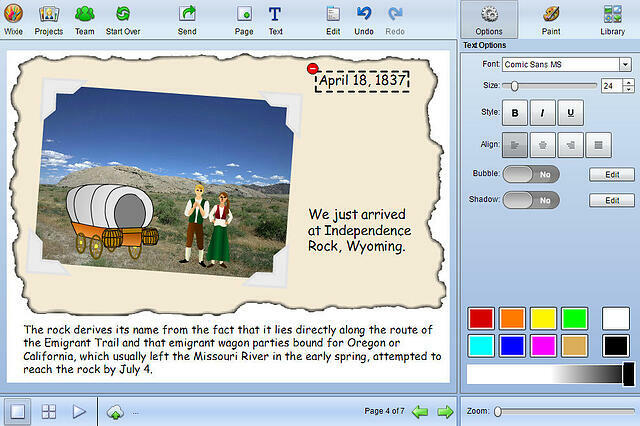 Teachers can use Wixie’s instructional tools to create and assign projects, evaluate student work, and view student progress toward standards mastery. “Our team is constantly making improvements to Wixie’s tools for students and teachers,” explains David Wagner, CEO of Tech4Learning. “This award recognizes changes we have made to enhance authoring and project options for students, such as the portfolio tool, as well as the addition of an integrated assessment system that lets teachers build and connect rubric-style assessments to student work and score them." To learn more about Wixie, visit the Tech4Learning web site at: www.wixie.com or visit our twitter ideas page to see how teachers are using Wixie in the classroom.